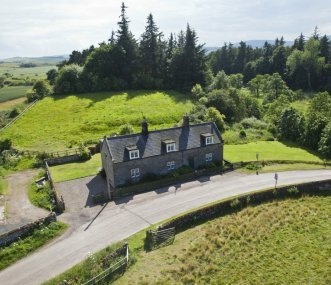 Set on the outskirts of Northumberland National Park and ideal for individuals, families and groups to stay in. Fantastic value. A mix of accommodation types sleeping 10 to 53. Holiday cottages in Northumberland and B&B rooms, total occupancy of 56. Short breaks and full weeks available. 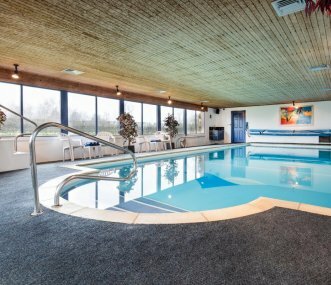 Swimming pool, tennis court, games room, function barn. Ideal for families and friends. 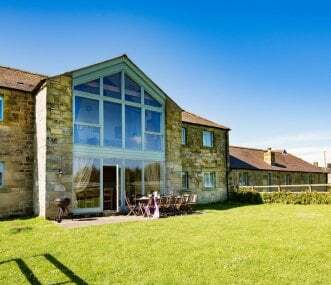 Bamburgh House is a large, two storey 6 bedroom house for groups of up to 12. Adjacent Lindisfarne Cottage sleeps 6 in 3 bedrooms. 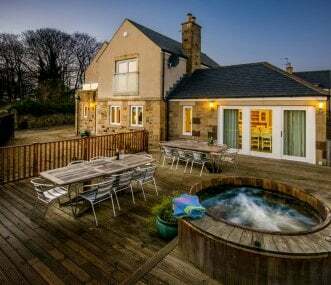 Ideal for a holiday in the country close to the Northumberland coast. 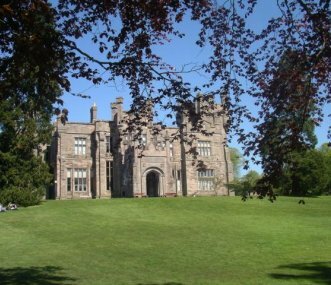 Longridge Towers is a Victorian building set in 80 acres of beautiful grounds. It is within easy access of both the countryside and coast. Flexible catering options, no self catering. 2 to 65 guests can be accommodated in our 13 luxury converted barns with a fascinating history. Opulent interiors with wood-burning stoves. Tennis court. Pets welcome. For those looking for great value accommodation, which is a step up from camping, Springhill’s new Bunkhouse is the ideal solution. 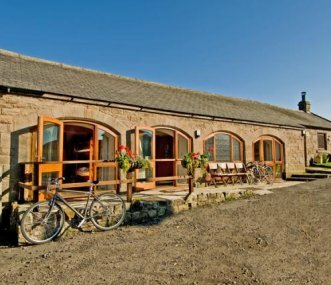 With its stunning views towards the Farne Islands and Cheviot Hills.